When you’re in an exciting new relationship, of course you want to talk about it with your friends, even your friends at work. But for Meghan Markle, that was a little more complicated than for the average person. When you’re dating an actual card-carrying member of the royal family, it’s pretty frowned upon to gossip about it around the watercooler. So on the set of Suits, Markle had to come up with another plan. 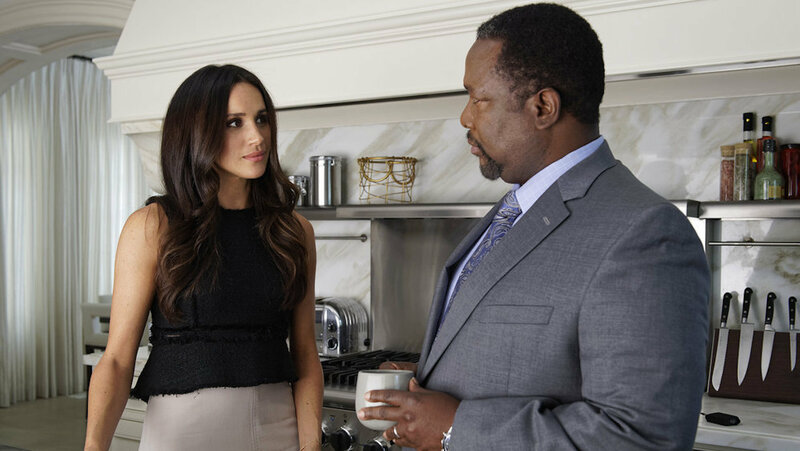 Wendell Pierce, who played her father on the show, just appeared on Harry Connick Jr.’s talk show, Harry, where he explained how Markle was able to get away with giving updates to certain costars who were in the loop about her exciting new relationship without giving anything away to eavesdropping ears. All the cast members who knew about Markle and Harry’s relationship before it became public reportedly talked to her about it that way. And you have to give them props for having her back and keeping such a juicy secret to themselves. I know if my coworker were dating an actual bona fide prince, I’d want to tell everyone I know.